450 South Oak Way is arranged over ground and four upper floors. The building offers a stylish self contained headquarters building of 106,020 sq ft. The building benefits from feature glass elevations adjacent to the M4 motorway for outstanding prominence. Large, flexible floor plates and maximum natural light create an exceptional working environment. 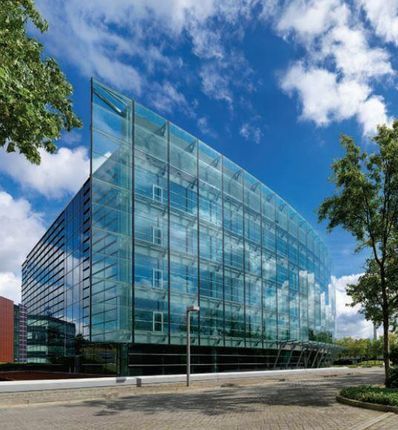 Fully glazed curtain walling, external brise soliel, double-height reception and flexible, open floor plates confirm this excellent first impression. Green Park is located beside Junction 11 of the M4, allowing easy access to and from Heathrow and Central London. Junction 11 has undergone a major upgrade, which includes two new four-lane bridges over the M4. These works, have increased capacity and improved access to Green Park.